FACT: Eating less, simply by reducing the intake of food, is by far the easiest way to reduce and control your weight. 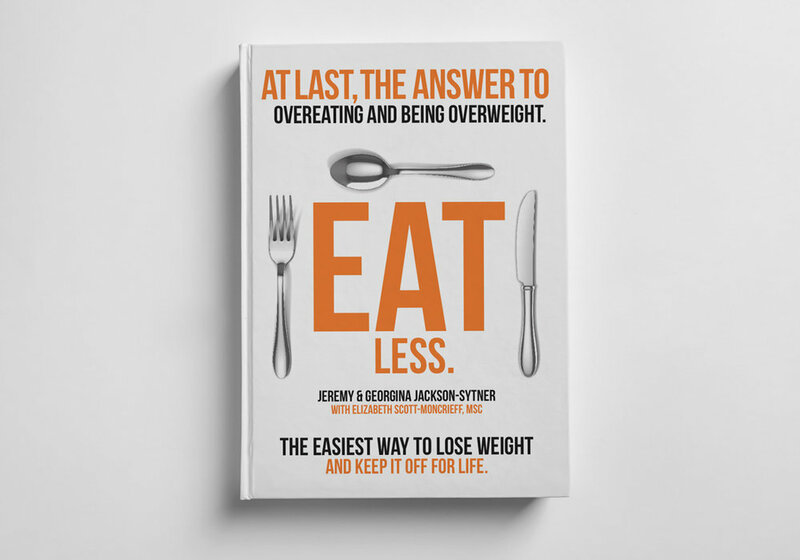 Eat Less is a revolutionary new book designed to help people lose weight and maintain a healthy weight for life. Eat Less is stuffed with bite-sized nuggets of information on the benefits of eating less, advice on what to eat less of, and much more. The book is informative and motivational, yet tackles the subject with a certain amount of style and wit. The underlying message is serious, but the manner in which it delivers those messages makes it far more readable and easily digestible. Subjects range from how the digestive system works, to why diets don’t work and lots of useful tips such as, why working at a standing desk for three hours, five days a week, is as good for you as running ten marathons a year. This is not a tome full of reams of ‘expert’ research with sermons. Simply common sense, beautifully laid out to inform and amuse the reader. 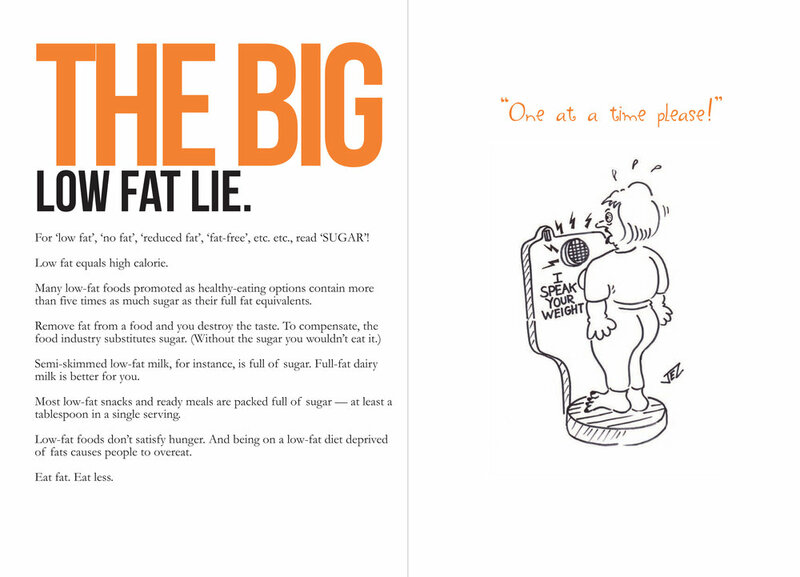 Page after page of practical advice on the indisputable life-changing benefits that simply by eating less food can bring. Eat Less is not a diet book. It doesn’t read like a diet book or look like a diet book. Part ‘How to’ book, part art book, part gift book. The great thing about Eat Less is that it really works. The authors are living proof that the habit-changing lifestyle they set out could help millions of people easily get to a healthy weight and maintain it for life.